This statistic shows a breakdown of the United Kingdom (UK) population of toddlers, by region and single year of age from the most recent estimates for mid-2016. Throughout all of the respective ages, the largest number of children under the age of four years were recorded in the South East of England. 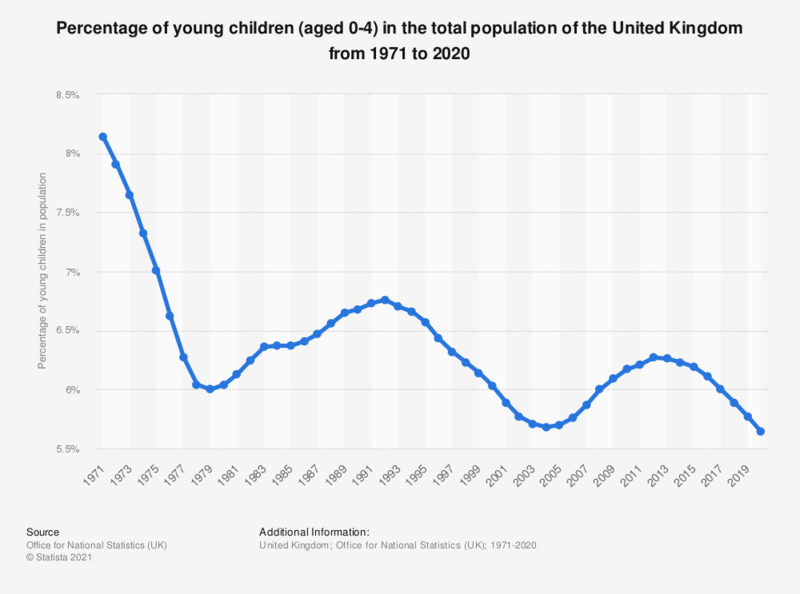 Statistics on "Demographics of the UK"